Sixteen months ago I began researching surgery options and after careful consideration I chose to go through BeLiteWeight for their help. From the very beginning they were very helpful. There were a lot of forms and testing I had to get done from my regular doctor to make sure I could physically as well as mentally under go the surgery. So decision made, myself and my family was off to Vegas!!! The surgery itself went great and my surgeon, Dr. Bernie Hanna, was great. I was released from the hospital 31 hours after surgery. Two days after surgery I was on my way home for my new beginning. I will not say it has all been a perfect story. I experienced bouts of being sick , unable to eat, ulcers, and had to have my gallbladder removed within this last year. However at the time of surgery I was 347 pounds and wearing a size 28, but more often then not I was wearing stretch clothing. 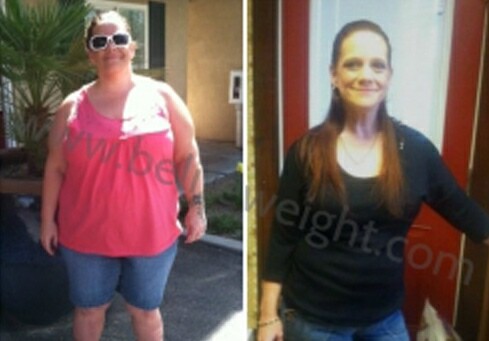 It is now 13 months after surgery and I weight 150 pounds. * I was able to undergo a back surgery that I have needed for years but unable to undergo because of weight. I am also taking five less medications then before surgery. I will tell you I am able to walk 3 miles at a time with my daughter I enjoy life more, going in public more, and I am much more happier with myself then before surgery. Thank You BeLiteWeight for helping me and my family, because this surgery is not just an individual experience but a family one.